Only hours after playing against the Baltimore Ravens in the 2013 Super Bowl in New Orleans, former San Francisco 49er and now Tennessee Titan tight end Delanie Walker was told that his aunt and uncle, Bryan and Alice Young, had been killed in a traffic collision by an alleged drunk driver. The Youngs were on their way home from watching their nephew play in the Super Bowl when they were rear-ended, and both vehicles ignited. The other driver’s injuries were not life-threatening. Delanie Walker now works to raise awareness of the serious dangers of driving while intoxicated. “I just want to make people more aware through my story,” Walker says. Amid this year’s Super Bowl hoopla and spectacle, it could be important to remember that Super Bowl Sunday is one of the biggest drinking days of the year in the United States, which makes it also one of the most dangerous driving days of the year. More than 325 million gallons of beer will be consumed during this year’s Super Bowl, and as Forbes reminds us, that’s more than a gallon of beer for every man, woman, and child in the United States. Law enforcement agencies big and small, in every part of the nation, crack down on DUI enforcement on Super Bowl Sunday with sobriety checkpoints and specially-designated DUI squads. On Super Bowl Sunday, your chance of being in a traffic collision with an intoxicated driver can be as much as double that of a normal Sunday in January or February, according to California safety officials and the Los Angeles Times. The Auto Club of Southern California examined five years of California crash data and discovered a 77 percent increase in alcohol-related traffic accidents causing injuries or fatalities on Super Bowl Sundays. In Los Angeles, alcohol-related crashes are 57 percent higher on Super Bowl Sundays, and in San Diego, the figure is disturbing – 117 percent. The National Highway Traffic Safety Administration (NHTSA) also reports that alcohol was a factor in 43 percent of all fatal traffic collisions on Super Bowl Sunday and the next morning in 2012. In 2013, law enforcement agencies made 43 DUI arrests in Orange County on Super Bowl Sunday, according to the Orange County Sheriff’s Department. If you don’t have to travel this year on Super Bowl Sunday or the next morning, staying put may not be a bad idea. Leave your keys at home, and get a ride to your destination. That way, you can’t be tempted later to drive home while you’re impaired. Avoid drinking too much too fast. Pace yourself. Eat plenty of food as you drink. 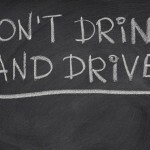 Make absolutely certain that your designated driver is trustworthy and sober, and not simply “more sober” than you are. Don’t let other people drive drunk, either. Find a safe way for your friends to get home, too. No matter what happens, do not drive until you are sober. If your community sponsors a sober ride program, learn about it, write down their number or enter it in your cell phone, and use it. Wear your seat belt. On Super Bowl Sunday, others will certainly be drinking and driving, so you need maximum protection while traveling even if you’re completely sober. Even walking is dangerous if you’re intoxicated, it’s dark, and especially if it’s the night of the Super Bowl. If you are walking, have a friend join you. During periods of increased DUI enforcement – such as New Year’s Eve, Independence Day, and Super Bowl Sunday – your chances of being arrested and charged with driving under the influence increase as well as your chances of accident and injury. Even if you take precautions, you could be arrested – or even wrongly arrested – for DUI if you’re driving on Super Bowl Sunday. If the red flashing lights go off behind you, what is the best way to react? Slowly and politely. When a police officer stops a driver, he or she never knows who is behind the wheel. Ease any anxiety right away and genuinely try to make a good impression. 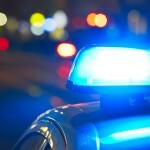 If the police stop you while you’re driving, pull over to the right quickly but cautiously and away from moving traffic. Turn off your vehicle, and put your hands on top of your steering wheel. Don’t reach for your license and registration until the officer asks for them. Try to be relaxed, stay polite, and don’t give the officer any reason to arrest you. Beyond providing your license, registration, and in most states your insurance card, you are not obligated to answer a police officer’s questions. In every state, you have the right to remain silent. In California, you are not required to take a field sobriety test, either, and you’re only obligated to submit to a chemical DUI test if you are formally arrested for driving under the influence, unless you are under 21 or on probation for a previous DUI conviction. The same rules apply if you are stopped at a sobriety checkpoint. The law about DUI testing – and the refusal to test – varies from state to state, so to learn more if you live and drive outside California, speak with a good local DUI attorney. Sobriety checkpoints are simply roadblocks where police officers stop, question, and sometimes test motorists to determine if they are drunk or otherwise too impaired to drive. Drivers traveling through a DUI checkpoint are randomly screened, and they may be asked to submit a to breathalyzer test or to a field sobriety exam. You can expect police agencies in California and across the nation to set up plenty of sobriety checkpoints on Super Bowl Sunday. On a normal day, a traffic stop will often end with a simple warning to watch your speed or have your brake light fixed, but on Super Bowl Sunday, police officers will be looking for one thing – intoxicated drivers. Check all of your lights and your windshield wipers prior to Super Bowl Sunday, and don’t toss out litter or do anything else that might attract police attention that day. If you’re stopped on Super Bowl Sunday, you are probably suspected of driving under the influence. Don’t speak first; let the police officer initiate any discussion. Politely decline to answer any questions – just explain courteously that you are choosing to exercise your right to remain silent. When the officer returns your license and registration, politely ask if you are free to leave. In California, if you have had anything to drink whatsoever, do not submit to a breathalyzer examination – no matter what the officer tells you – unless you are formally placed under arrest, under 21, or on probation for a prior DUI. If you are taken into custody for DUI – called DWI in some states – speak at once with a good DUI lawyer, and in southern California, contact an experienced Orange County DUI defense attorney. The right DUI defense lawyer can save you time, money, and a great deal of grief and aggravation. In the end, a prosecutor still has to prove that you are guilty beyond a reasonable doubt. If there’s a flaw in the state’s case, a good DUI defense attorney will find it. If the police violated your constitutional rights in any way when they stopped, searched, interrogated, or arrested you, or if you were tested for DUI in a way that violates standard testing procedures, your attorney will bring it to the court’s attention, cast doubt on the state’s case against you, and fight for justice on your behalf. To avoid a risky jury trial, your DUI attorney may choose to negotiate your case directly with the prosecuting attorney. Even if you don’t realistically have a good case and the evidence is stacked against you, an experienced DUI attorney can usually advance something helpful on your behalf, possibly reducing your jail time or even getting the charge dismissed in some cases. 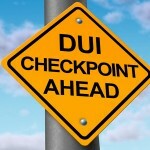 A good DUI attorney will suggest the options that are best in your particular legal situation. Although conviction rates are high in some states for DUI cases, good DUI attorneys win these cases for their clients in every state in the nation. If you charged with driving under the influence on Super Bowl Sunday – or any other day of the year – protecting your rights and your future are your highest priorities. A good DUI defense lawyer will defend your rights and work diligently for the best possible resolution to your case. After any arrest for DUI or DWI, contact a good DUI lawyer immediately, and in southern California, speak with an experienced Orange County DUI defense attorney.